You don't realize how necessary little pouches are until you have a plethora of spilt subway tokens traveling haphazardly about your bag. Keep spills at bay and your belongings organized with the handy -- and CUTE! 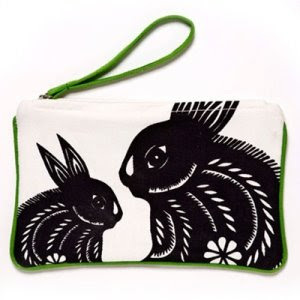 -- pouches from Digs Showroom. Check them out -- there's many more just like this one! I have a very similar one to this (with a cat). I love it, comes in super handy in my Ginormous purse!